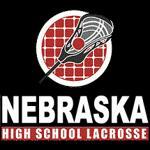 Each participant of the Nebraska High School Lacrosse Association and Creighton Prep Lacrosse is required to have a valid US Lacrosse player membership. US Lacrosse is the national governing body of men's and women's lacrosse, primarily serving the youth game. It provides a leadership role in virtually every aspect of the game, boasts 64 chapters throughout the United States, and offers programs and services to inspire participation while protecting the integrity of the sport. 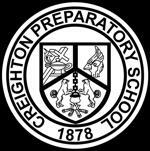 US Lacrosse numbers will be collected during the Creighton Prep Lacrosse Player Registration process. It is the responsibility of each Parent/Guardian to ensure their player's US Lacrosse membership is current and up-to-date. Become a US Lacrosse Member or Renew Your Existing US Lacrosse Membership Here! Look up your US Lacrosse Number!